Why put up with Wintery chills? Get your cruise holiday off to the best start! 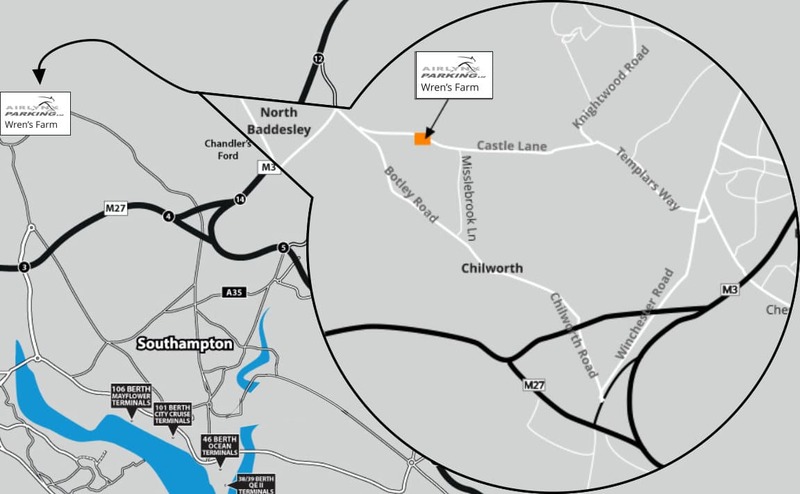 Book your cruise car parking at our private and secure off-port car park, where we will transfer you to the Southampton and Portsmouth cruise terminals in luxury. Upon your return we will collect you from either cruise terminal and return you to your vehicle. 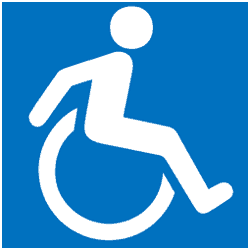 We have two main parking sites for our cruise parking, Britannia Wharf, and Wrens Farm. Our cruise ship terminal car park, based at Britannia Wharf is safe, secure and the closest off-port parking to all of Southampton’s cruise terminals. Britannia Wharf is just 5 minutes away. Our car park at Wrens Farm is just a 20 minute drive away. Our luxury transfer vehicles will deliver you to the cruise terminal door, beating the port-parking queues for a convenient and stress-free start to your cruise holiday. To book your cruise liner parking space use our secure online booking form and select the cruise terminal of your choice. We can also valet your car, while it’s parked in our secure car park, which can be booked at the same time as reserving your cruise terminal car parking space. We operate 24 hour parking security, patrols, and CCTV for your peace of mind. Mini-cruise or world cruise, park for as long or as little as you like. We check our prices daily to be the most competitive in the area. Dear Sir/Madam This was the first time that we have used Airlynx Parking, having used other parking operators previously, and happy to say that we were impressed with the experience and service. 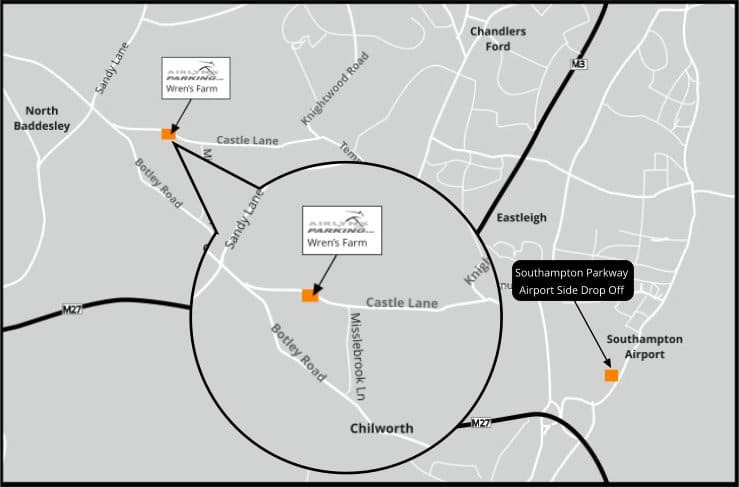 Wren Farm was easy to find and located so that the Airlynx Driver drove the last difficult leg into a very busy Southampton. The transfer vehicle and driver were excellent (Matthew both directions) who could not of been more helpful. Sam at Wren Farm on arrival was also helpful and professional. Thank you for your excellent service and will be using you again when we have 'saved up' for our next cruise. Pete & Sue Ralph. Many thanks for taking care of us so well! Absolutely no hesitation in recommending your services to anyone, two very friendly, courteous and helpful drivers with very modern, comfortable vehicles. Well done all! Dear Sir/Madam, I recently had occasion to use your parking facilities at Southampton and wanted to congratulate you and your staff. The speed, efficiency and friendliness of your service is outstanding. Thank you so much. Here is the hand written letter Thank you Mr Bishop! Hello, we used your car parking company for the first time and arrived back today, 11/05/18. We were very pleased with the service you gave and would like very much for you to quote us for our trip in September. Thanks for safe trips provided. Please thank both our drivers again from us all. Southampton Cruise Port has 4 main terminals, sometimes opening a temporary cruise terminal when all four main cruise terminals have been fully booked. Our luxury transfer vehicles will take you straight to the Southampton cruise terminal doors. 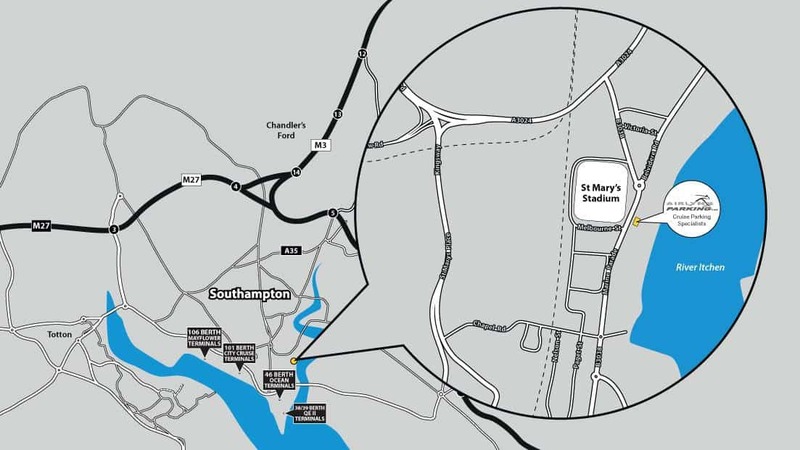 Once you have parked your vehicle in our Southampton cruise port car park facility, we will transfer you in our air-conditioned luxury transfer vehicles to the cruise terminal you are travelling from; the Mayflower Terminal, the City Cruise Terminal, Ocean Terminal or Queen Elizabeth Terminal. Our customers are frequent passengers board all the major cruise lines that depart from the Southampton cruise terminals; such as P&O, Norwegian Cruise Lines (NCL), Fred. Olsen Cruise lines, Royal Caribbean (RCI), Cunard, Saga, Carnival, MSC, Silver Seas, Princess and more. We make it our business to know which terminal your ship is embarking for a convenient and stress-free start to your cruise holiday. Our airport parking offered at Airlynx has been created with airport passengers in mind. When you leave the country to travel far and wide, we offer the assurance that your car will remain where it was left, in a good condition, and with no mileage added to the clock. Long-term travel can offer complications when it comes to your vehicle such as how secure it may be whilst you are away, which is why Airlynx provide a dedicated and secure location for your car to be kept during your time abroad. Our customers are frequent passengers board all the major airlines that depart from Southampton Airport; such as Aurigny, Eastern Airways, Flybe, Aer Lingus, KLM and more. We make it our business to know when and where you need to be for a convenient and stress-free start to your holiday.